The results of the Baseball Writers Association of America’s Hall of Fame voting will be announced Wednesday, and if early indicators are to be believe, there will be a lot to rage about. This year’s ballot is stuffed with worthy candidates, several of them appearing for the first time. But rather than consider individual players on their merits, many writers are launching an offense in BaHoWa, using their votes as an opportunity to lash out against stats nerds, ILLEGAL DRUG USERS, and ideas they don’t understand. The old white men are angry, my friends, and they’re going to make sure Jeff Bagwell feels their wrath. According to two polls attempting to track votes via explanatory and declarative articles and tweets for the voters themselves, there’s a decent chance no players will get elected this year. This despite the inclusion on the ballot of somewhere between 10-18 players worthy of at least strong consideration. Examining the individual ballots compiled by The Girl Who Loves Andy Pettitte, many stand out as impossible to defend with any sort of consistent internal logic. This process needs to be taken out of the writers hands and given to…whom? That, I don’t know. 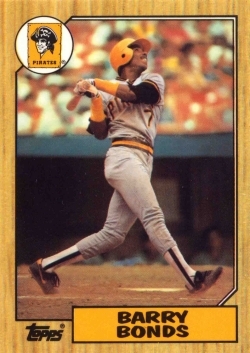 But the current system isn’t working when players like Jim Rice get in and players like Bagwell stagnate on the ballot. But enough with the mockery and criticism (until the next post, at least). Let’s get down to business. It’s time to unveil the Official 2013 PCHA Hall of Fame Ballot. Last year, I fake voted for 6 players, one of whom (Barry Larkin) got in. That leaves me with five holdover candidates: Bagwell, Tim Raines, Alan Trammell, Mark McGwire and Edgar Martinez. Barry Bonds: the no-brainiest of no-brainers. Bonds was a surefire Hall of Famer before he ever picked up a needle or rubbed weird gels on himself. As with all other accused or admitted PED-ers on the ballot, I’m trying to look only at what they did on the field. However, I am willing to let (certain) PED use serve as a tiebreaker if I’m on the fence about a guy. I’m not on the fence about Bonds, who was at worst the third greatest hitter of all time and very possibly the greatest. Mike Piazza: Mostly, I just wanted to list his name next to Clemens one more time. But he’s also one of the handful of best offensive catchers ever. 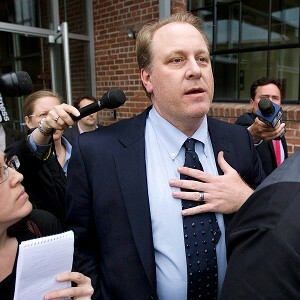 Curt Schilling: You have no idea how much this one pains me, you guys. If voters claim that PED use is enough to trigger the character clause, I’d love to make the argument that defrauding the voters of Rhode Island out of $75 million is enough to do the same. Schilling is perhaps my least favorite athlete of all time. But as Jay Jaffe shows, Schilling excelled in a hitting-rich environment, racking up strikeouts en route to being one of the dominant starting pitchers of his time. I do think that there are a few holes in his candidacy, though, and if no one gets in this year, I will take delight in dropping him from my fake ballot with malice next year when more worthy players like Greg Maddux and Frank Thomas appear for the first time. Craig Biggio: The most likely of the new eligibles to get in on his first try, Biggio doesn’t have the steroid taint that his compatriots do, mostly because he’s smaller of stature. Which is ridiculous. But he deserves to get in as much as they do. While playing a premium defensive position, he racked up year after year of impressive numbers, with an OPS+ of 111 or greater every year (save two) from 1989 to 2001. Biggio was good for a long time and also one of the best players in the game for a shorter time, which is exactly the kind of guy you put in the Hall of Fame. With the ten players I’m voting for, plus more candidates worthy of thought like Sammy Sosa (rates much worse by advanced stats than traditional counting stats), Fred McGriff, Kenny Lofton, Rafael Palmeiro, Larry Walker and Bernie Williams, it’s inconceivable that voters have fewer than five names on their ballot. But many do. And it’s only going to get worse next year.